Pal i3 is a robot that can work in a vertical plane space of y-z. The limited movement required by various industrial facilities can be implemented at an optimized cost, and maximize price-to-productivity. Robots wanted by working staffs. High cost efficiency due to reduction of number of joints. Previous vertical multi-joint robots were produced in the form of six joints with six freedoms in order to reach all the coordinates of a three-dimensional space. However, multi-joint robots needed for real industrial automation facilities can work with only three axes. Pal i3 reduced unnecessary freedom for a variety of tasks that do not require six freedoms. Therefore, the three - joint robots can save costs 2 ~ 3 times compared to the 6 - axis robot since it has few joints. The Pal-i3 is usually mounted inside an industrial facility and may be driven on an orthogonal system for a wider range of works. Proven industrial standard servo motor system. Newly in the first half of 2019, Panasonic's MINAS A6 is smaller and lighter, delivering the industry's highest speed and maximum torque. The Pal Series chose the industry-leading MINAS A6 servo motor for greater agility. One of the most important things about industrial robots is stability. We used Panasonic Drivers, a product that is being tested for the highest reliability, even though we were able to reduce unit cost by developing our own drivers. Panasonic Drivers are with the highest reliability such as delivering faster, more accurate behavior and high-speed response density, and now used in all Pal i-series robots. 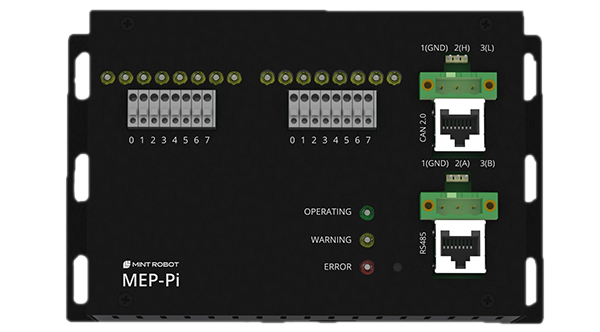 The motion controller MEP-Pi, which is common to all Pal robots, is more reliable than any other product because it has sold more than 19 million units worldwide and is powered by verified Raspberry pi. It also provides more communication interfaces than any other product. The behavior of Pal all robots is controlled based on real-time scheduler, and various interfaces offered by the motion controller provide flexibility when working with other higher-level control systems. Up to now, industrial robots did not come with any safety devices. However, Pal i-series products support compliance control technology that can prevent unusual accidents. The robot can stop movement when it detects collisions, also users can easily move robot’s position by their hands. This is the most basic and important feature which can prepare for any accident in the industrial field. 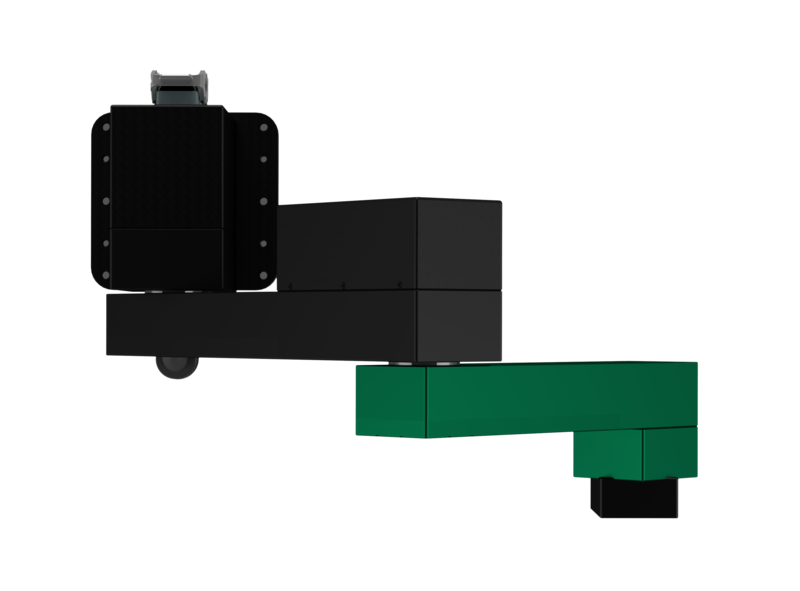 Precision reducer optimized for industrial robots. Key parts manufactured by independent technology. We mostly know that the most important part of a robot is a precision reducer. Precision reducer is actually the key parts that make up the largest share of the overall price of the robot. However, since it's the most difficult part to manufacture, in fact, a lot of robot manufacturers cannot make it themselves, and it's actually purchased by professional manufacturers. 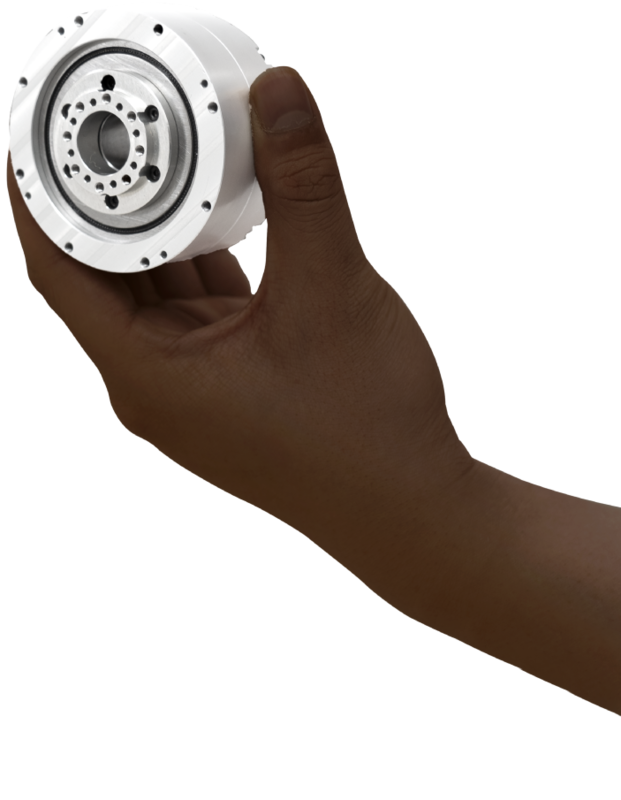 The Pal i-series was able to be more reliable and compatible by using the Elacloid Drive, a precision reducer developed by MINTROBOT, and as a result, we've been able to achieve lower the price of robots. The precision reducer used in the Pal i-series provides a variety of deceleration ratios. Also, it increases maximum torque and reduces its weight while maintaining a high precision of 1 arcmin by using patented technology. The Elacloid Drive, composed of duralumin and special steels, can maintain output torque with reducing its full weight since it uses the principle of a cycloid drive that can achieve huge output torque. We demonstrate the excellence of Elacloid Drive products through our robots. MINTROBOT distributes MTP, which is the software for robot’s teaching that is easy to access even to first-time users, for free. MTP is a program that allows users to write robot’s tasks and interlocks with high-level systems through the GUI program, which allows users to operate the robot by installing the program on their PCs or other computers. Very intuitive and convenient interfaces and easy-to-understand graphical elements can help prevent mistakes that practitioners can make and provide a clearer picture of the robot's behavior. MTP and robots can be connected by TCP/IP communication and a more sophisticated smart factory system can be built by utilizing IoT technology. MINTROBOT's Pal i-series has achieved miniaturization that was not seen in previous industrial robots. The world's first in-house, self-developed, rectangular form of creative design has become the identity of a MINTROBOT that no one can emulate. This is also lighter and more robust by using the duralumin used in aircraft, and this is stronger for dent and scratch compared to general painting method, since finishing process has been fully anodized.